For librarians, teachers and parents, the new year doesn’t necessarily start in January. It starts in September when summer draws to a close and the new school year is on the horizon. As a new mom & librarian, I am getting more and more excited for the days when I can take my little guy shopping for back to school supplies (my favorite part as a kid…dorkily enough), as well as taking him to school in general and watching him learn and grow with the world around him. 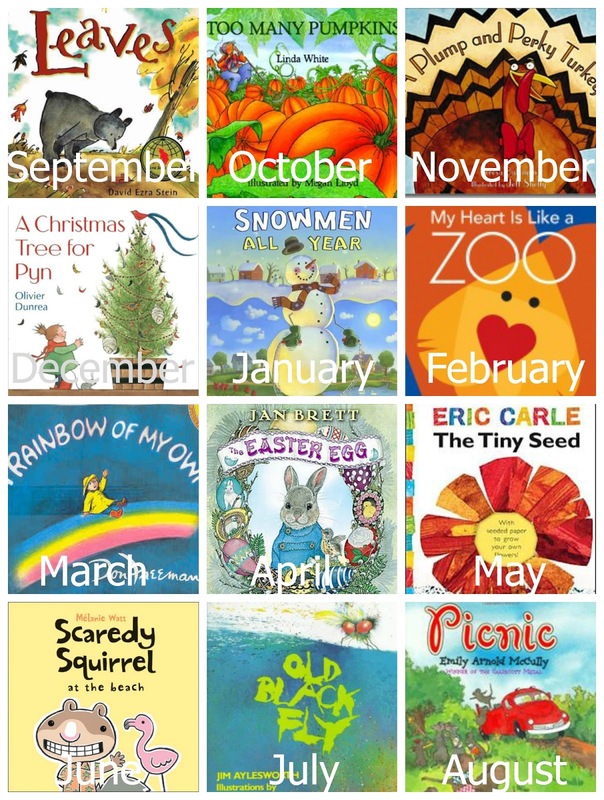 Lori at Reading Confetti has put together a wonderful collection of books with which to ring in each month. I can see many uses for this for library story times, for themed activities after school and on the weekends to reinforce the concepts in a fun way. This is a very thorough list and a great resource for parents and librarians in search of books to recommend or read to children. This entry was posted in Books and tagged Books, children, preschool, reading. Bookmark the permalink.